Shop4D was built with direct input from service writers and owners who use their point of sale every day to run their shop. That’s why we reduced clutter and noise, streamlined tools, and made it easier and faster to do the tasks you need to do manage tickets and customers. Shop4D is built on the concept that you can’t stop a technician from pencil-whipping an inspection just by getting rid of the pencil. 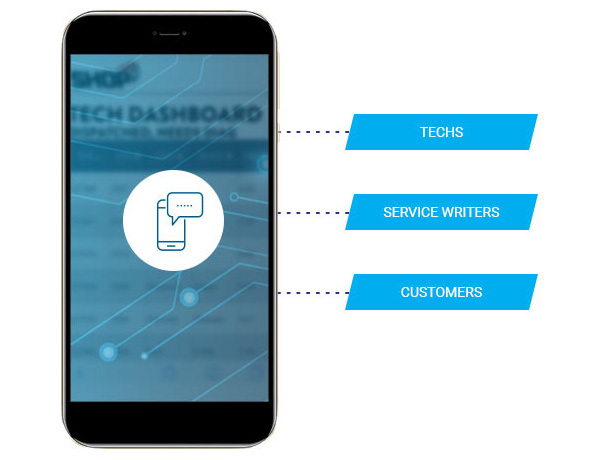 So, while we built an inspection that is easier, smarter, and faster than a paper inspection, we also built in tools to help owners confirm that their technicians are routinely doing a thorough inspection. 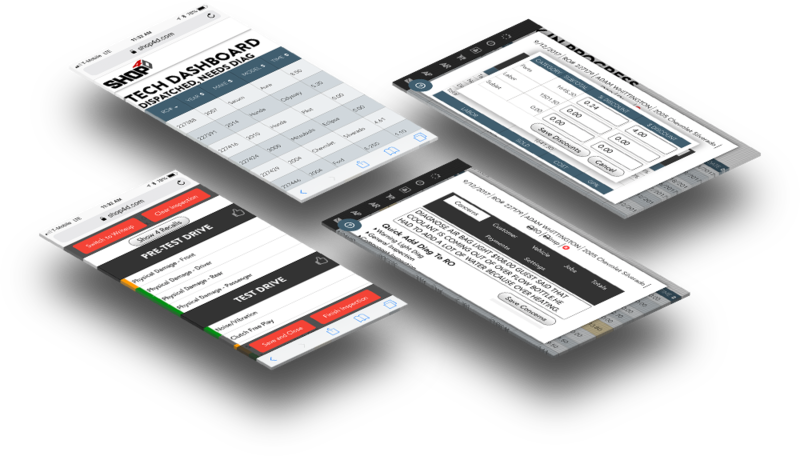 Shop4D has built-in communication tools to improve dispatching and workflow. When a vehicle is pulled into the bay, when the inspection is done, and when the work is approved, your team is notified non-verbally so you never have to track down a person to get a status update. Shop4D also includes communication with customers. 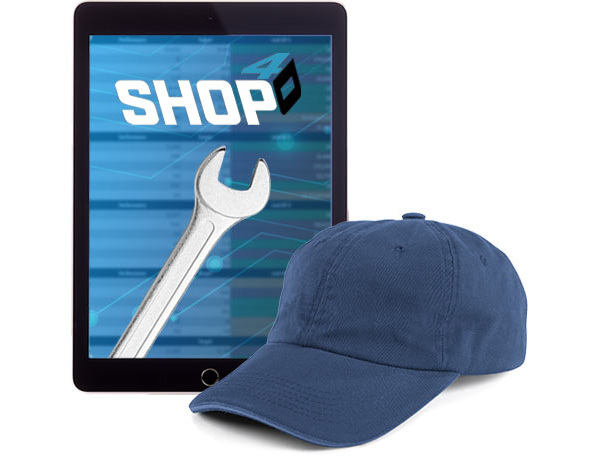 Shop4D has built-in, instant parts searching and ordering through Epicor, meaning you never leave Shop4D to source the parts you need for a repair. Your top vendors are connected to fulfill nearly every part need your shop will have. 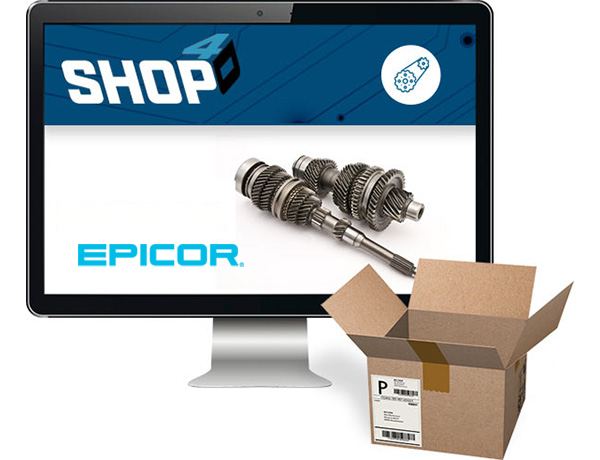 There’s no need to maintain a separate subscription…your connection to Epicor is part of the Shop4D subscription. Epicor is a registered trademark of Epicor Software Corporation. Epicor is a separate and independent company from Shop4D. Shop4D’s integration with Epicor and Motor means you have access to labor guides built right in, with no extra subscription. 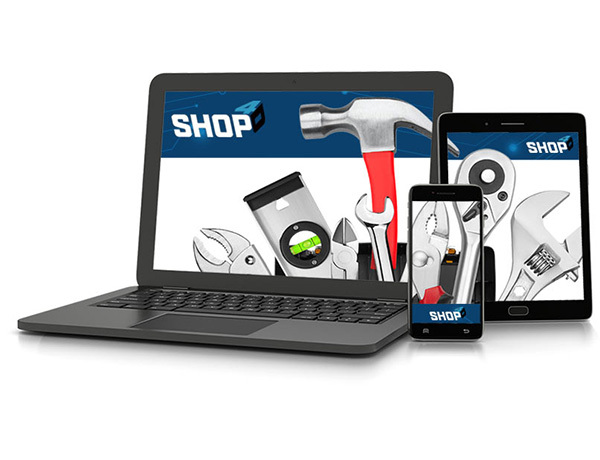 If your shop uses labor guide tools, we’ve created seamless integration, so you can search those tools without ever having to open a new tab in your browser. Epicor is a registered trademark of Epicor Software Corporation. 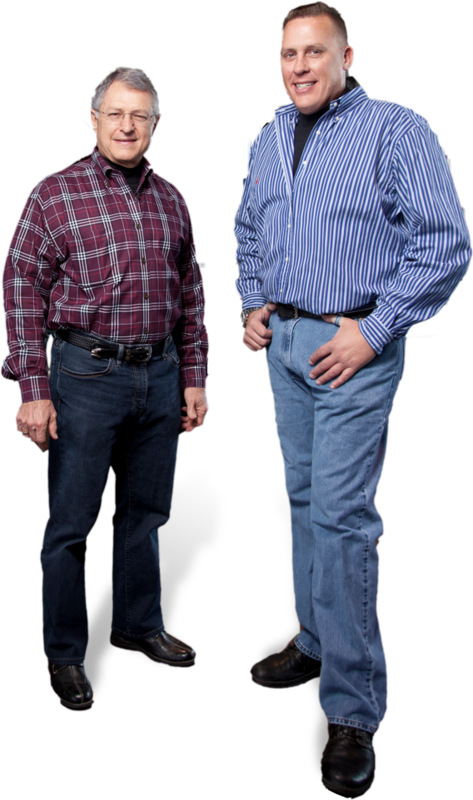 Epicor is a separate and independent company from Shop4D. Shop4D includes training classes, articles, wiki and materials, all designed to help your team maximize their productivity, efficiency, service writing and procedures. No need to send your team to conferences for training -- your team will have access to dozens of hours of training classes included with your Shop4D subscription. Shop4D's management and accountability tools are integrated with the RPM Toolkit and designed to produce answers and solutions, not busywork. Shop4D doesn’t only tell the owner exactly what they need to do today...It tells the entire team what actions to take, increasing accountability and creating regular, sustainable success. 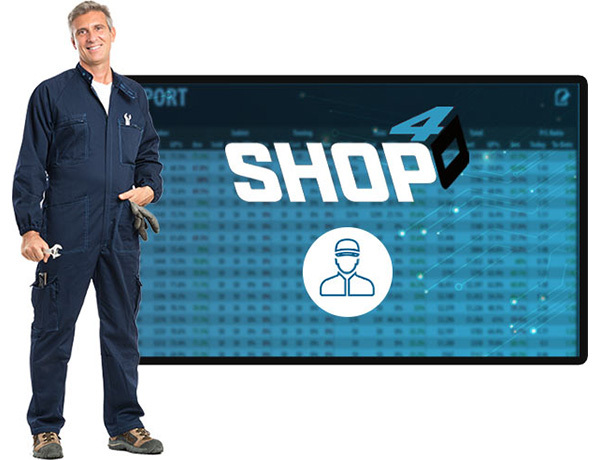 Shop4D is built on the backbone of the RPM ToolKit, the automotive industry standard when it comes to shop measurement and benchmarks. Whereas the RPM Toolkit syncs to connect to your Point of Sale, Shop4D comes pre-integrated with tracking, measurement, and target tools...no extra input needed. Computers can perform surgery. Diagnose cancer. Teach classes. Park cars. Play chess. And help run your shop. Welcome to a world driven by Artificial Intelligence, where computers can learn and problem solve better than humans can. How does AI benefit shop owners like you? Independent shops are facing an unprecedented technician shortage, and finding quality techs is one of the most consistent problems facing shop owners. The only way out is to get more done with less. Shop4D uses Artificial Intelligence to make your team more productive in every phase of the repair. This means your techs can spend more time fixing vehicles and less time diagnosing. Your advisers can spend more time providing exceptional customer service and education and less time sourcing parts or doing busy work. Shop4D imports all of your data from your current point of sale, so you can switch without headaches or hassles. It’s a secure cloud-based system, so you no longer have expensive server maintenance. And importantly, there are no tablets to buy…Shop4D runs on your existing computers, laptops, phones and tablets. But more than that, Shop4D was built with a cutting-edge vision: minimal training required. We believe a point of sale shouldn’t require a degree to use, so we got rid of the endless menus, buttons, and noise. Instead, we made something anybody can use without thick textbooks and weeks of studying. Shop owners currently need a variety of systems, services, and guides to operate their business, meaning they have to pay a premium price for each item separately. By bringing all of these pieces together, Shop4D can cut costs for owners by as much as half. Find out how much you could save by comparing Shop4D with other products. 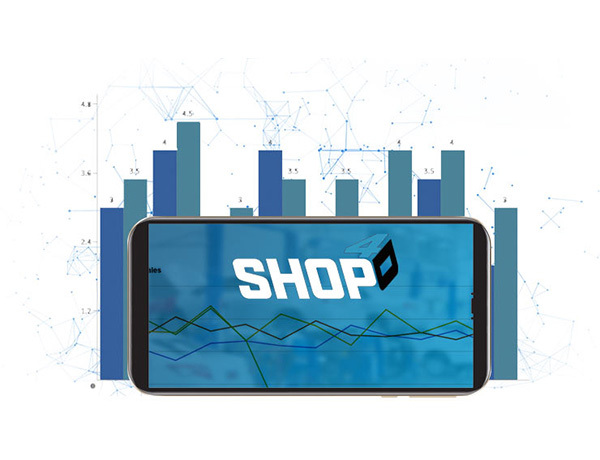 Shop4D has built-in marketing tools that you’d expect from a customer relationship management tool, like texting and email, but Shop4d extends beyond this. With Shop4D, you can build a complete marketing plan for your shop. Shop4D wasn’t built by parts companies, accountants, or computer scientists. It was built by auto repair experts who work in and own shops, and designed to fix the problems that shop owners face every day. 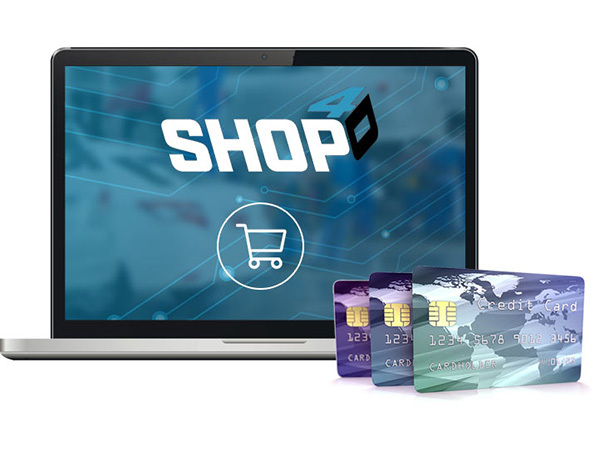 Shop4D was built with direct input from experienced service writers, top technicians, and some of the most successful and capable shop owners in the United States, who have all been using off-the-shelf point-of-sale systems every day to run their shops. That’s why we reduced clutter and noise, streamlined tools, and made it easier and faster to do the tasks you need to do to manage tickets and customers. Shop4D replaces every component of your shop management with smarter, more intelligent systems so that you can cut all the chaos, the meetings, the wasted activity and effort and start running your shop the way you knew it could run when you opened it. When Shop4D helps you build a marketing plan, it looks at the history of shops like yours to identify what really works to drive great customers. 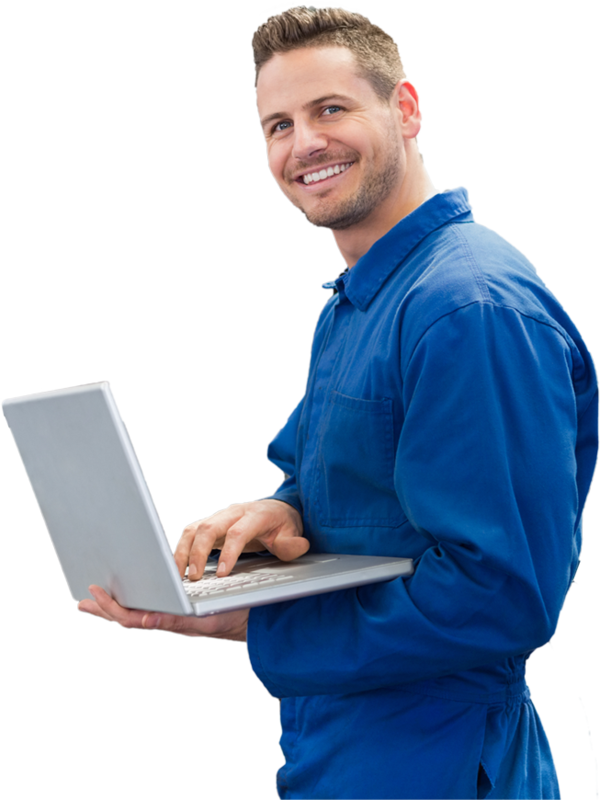 And when Shop4D helps your designated staff member with his or her inspection and estimate, it looks at the history of similar makes and models to help your techs find a targeted solution. Shop4D replaces every component of your shop management with smarter, more intelligent systems so that you can cut the chaos and the meetings and the activity and get back to managing a successful shop. Fill out the form below to tell us more about you. We'll contact you right away to get started.